Founded in 2006 by a small group of close friends, with a desire to create a simple and inclusive Werewolf game for themselves and others in the New England area, Rage Across the Cape (RAtC), centered around Cape Cod, Massachusetts, is a Werewolf Live Action Role Playing (LARP) game based on White Wolf's classic World of Darkness. Our game meets once per calendar month, typically every fourth Saturday. Our meeting locations include locations in Warwick, RI and Berlin, MA. Today, our players span the New England area, however we often welcome visitors (both at live games and on our extensive forums) from other One World by Night chronicles throughout the country. As a member chronicle of One World By Night (OWbN), Rage Across the Cape's reach is extended throughout the country- and in fact, the world. An international organization of White Wolf LARP's, OWbN allows it's players to interact with their characters in ways that could never be possible in a single, independent chronicle setting. Several times throughout the year, various chronicles throughout the US host weekend-long event games (typically over holiday weekends), which offer even more opportunity for immersive role-play. 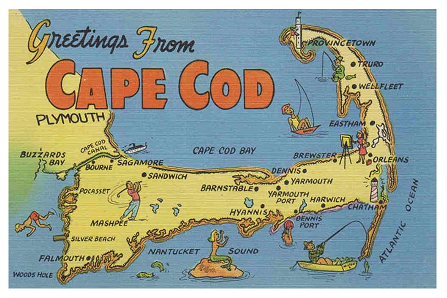 Rage Across the Cape highly encourages player travel between games, and we strongly urge all of our players to take full advantage of all that OWbN has to offer. If you are an existing player with a Werewolf character based in a OWbN chronicle and would like to play at RAtC, we very much welcome visitors! Please try to plan in advance, and have your storytellers send a copy of your character sheet to RAtCStaff@googlegroups.com at least a few days prior to game. You can also check out the Game & Event Schedule posted on our website for full details on game dates. If you are a new player, feel free to send a draft of your character sheet to RAtCStaff@googlegroups.com and we'll be happy to see you at an upcoming game. Whether you're a seasoned veteran or this will be your first LARP experience, our staff are more than willing to help you with any and all questions. Whether you're a new player or a visiting player, you are highly encouraged to review the House Rules posted in the public section of our forums. RAtC maintains an extensive online forum, which has become integral to the ebb and flow of the game between monthly live sessions and other events. The House Rules section, as well as Announcements and OOC Discussion sections remain open to public view, however you must be a registered forum user in order to post and to see other areas of the forums. Please email the staff at RAtCStaff@googlegroups.com or use the Email Staff button at the top of the forum, if you are interested in having an account created for you. Request to join the Rage Across the Cape Facebook Group to chat with players from our game- and others- outside of our forums, and catch the most important announcements which are always cross-posted to both the Facebook group, and our forums.